Hey Ladies! 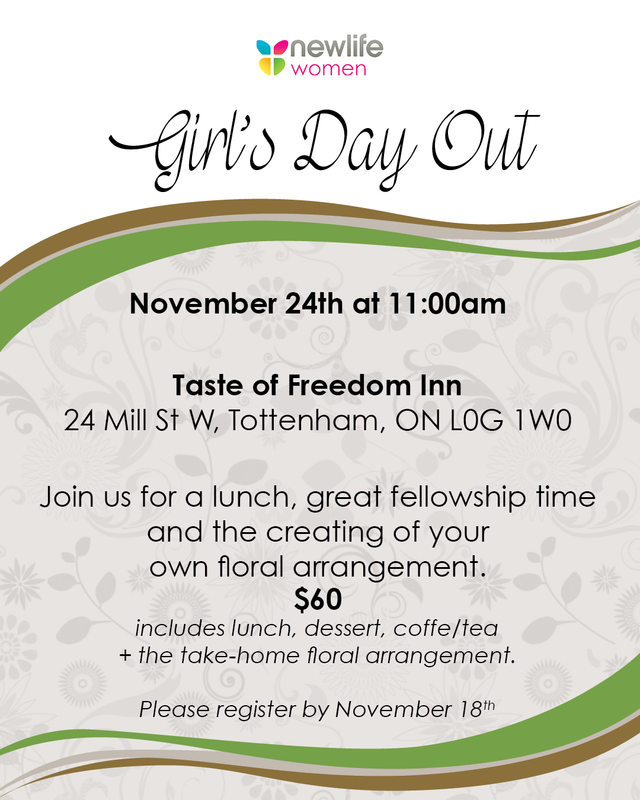 On November 24th, join us for lunch, great fellowship and the creating of your own floral arrangement! Register by November 18th.